We’ve all been told that newborns and young infants sleep most of their day away. My daughter was obviously the exception to that rule, as she didn’t sleep til she was nine months old. There was no “sleep through the night”…she didn’t sleep AT night whatsoever. Honestly, she hardly slept during the day either. Having a restless child who refused to sleep put a toll on my mind, my body and my attitude towards others. I was always in a bad mood due to sleep deprivation. However, once she did learn to sleep and sleep hours at a time, it was like I gained my life back. I was now able to think straight and able to communicate with others before flipping out on them. Isabella is now 3.5 years old, and she’s the best sleeper in the world! Most nights, she snoozes for a staggering (and welcomed!) 12 hours. This allows for me to get blog work done or spend some time on ME, since from the time she wakes up til she goes to bed…all of my time is focused on her. I was recently sent a package from Pampers that included a pack of Pampers Swaddlers, a pack of Pampers Baby Dry and a $100 American Express gift card to spend on items that encourages a restful night’s sleep. This was to all be given to a family or friend in the community. I knew exactly who to give my findings to – a friend that I went to school with who is now expecting her first child (who they recently discovered was a BOY). I also decided to get Johnson’s Nightime Baby Bath Wash and Lotion (not pictured). This is a true gem. When all else fails, a nice, calm, warm bath is all that is required to soothe your bundle of joy to dreamland. Additionally, I took a trip to Target and purchased some adorable baby boy items! Along with the Disney items pictured in the previous photo, she will be receiving seven more sleepers (one comes with a cap) and three more onesies. I know all these clothes will be put to good use at nighttime. Pampers has introduced their newest diapers – Pampers Swaddlers and Pampers Cruisers. When Bella was a small baby, Pampers was the brand we knew and trusted. Now, the brand is even better with extended sizes. Pampers Swaddlers is now available through size 5. Your baby can now experience an extra soft diaper through all the stages of their first year of life. The wetness indicator is included in all sizes! When your baby has wet his or her diaper, you can tell by the line on the diaper without having to touch. If your baby is now on the move, you can switch to Pampers Cruisers, which are designed for the active baby. These diapers have been updated and are more absorbent than ever. 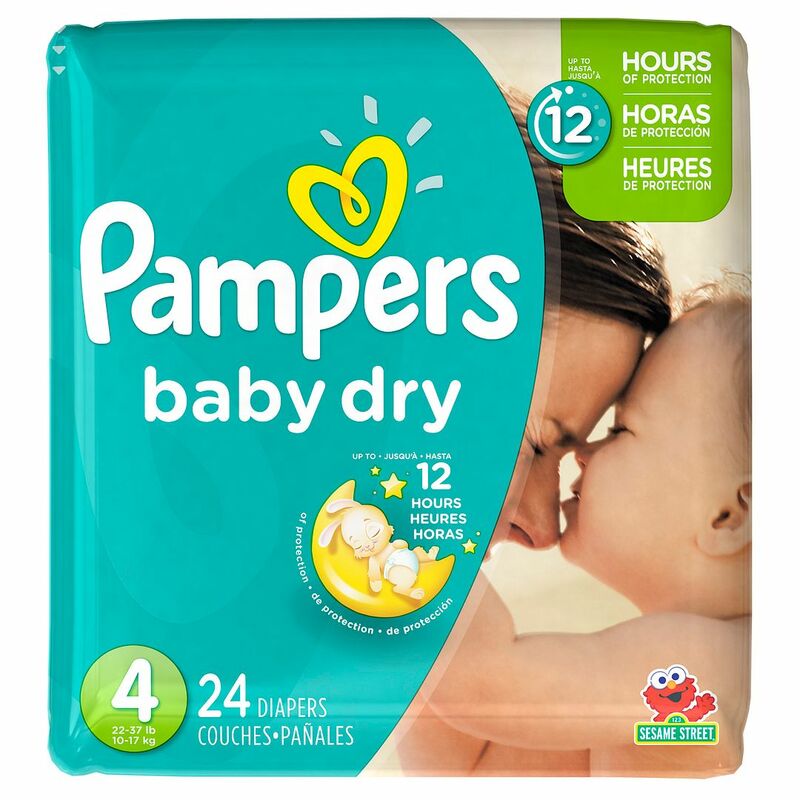 Pampers Baby Dry offers 12 hours worth of protection! For those nights where your baby decides to sleep in, you can trust Pampers Baby Dry to make sure your little one wakes up without a soaking wet diaper. It has an “ultra absorb” core that keeps the urine away from your baby. In comparison to other diapers, Pampers Baby Dry has three layers of absorbency instead of just two. 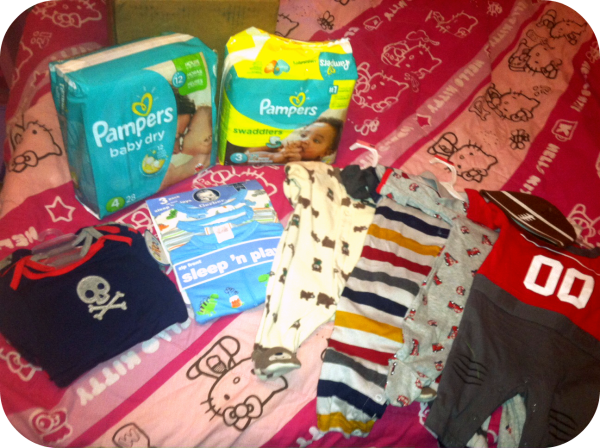 In closing, my friend thoroughly enjoyed the gift basket full of sleep items geared towards her new baby boy. She was taken aback, as I never told her I was doing this for her. Seeing the look on her face was priceless and reaffirms my belief that giving back is truly also a gift for yourself. Stay connected with Pampers via Facebook and Twitter for updates, deals and promotions! I like that the swaddlers go up to size 5 now! I like the Pampers Swaddlers. 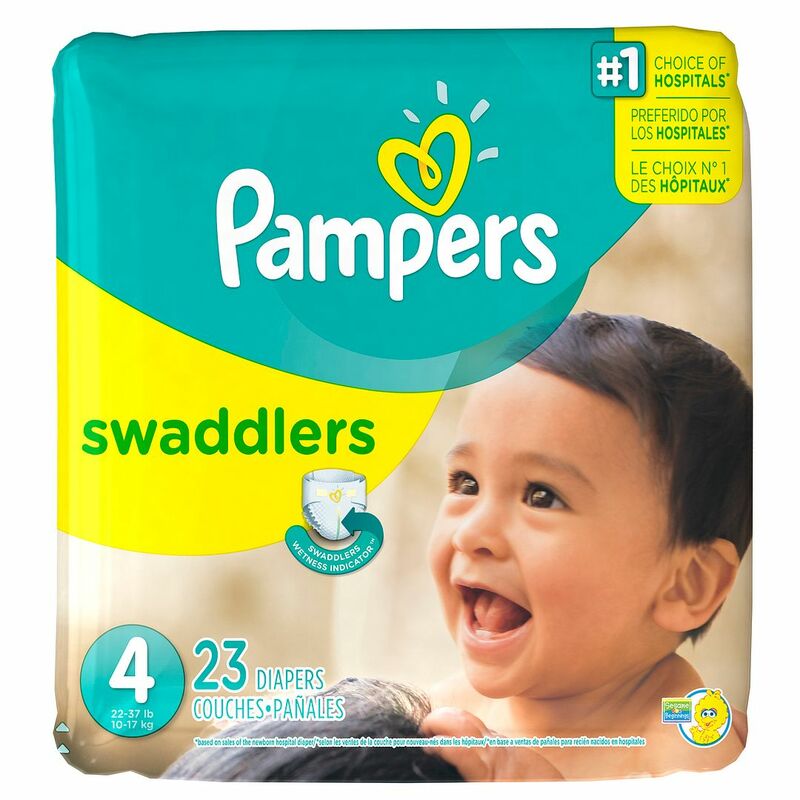 I learned on the Pamper’s website all about the different diapers, some of them I had never heard of like Pamper’s swaddlers! I like Pampers Swaddlers sensitive. $25 Walmart GC–I entered that too, and submitted. Thanks! I entered the Kmart GC giveaway too, and submitted. Thanks! I like how they have coupons online. I like the easy up trainers for girls. I learned/like that they offer swaddlers in different sizes now and that they have unbeatable leak protection! I’m expecting my first baby next month– thanks for the opportunity! I like the sensitive wipes Pampers has! I love the Pampers reward system! Although I don’t have anyone in diapers anymore, I like to be a part of it and enter the bonus codes they make available from time to time. I like the Splashers swim pants for boys or girls. Don’t leave home without them. Thanks for the giveaway! I learned Pampers Swaddlers are the softest diaper ever, complete with Wetness Indicator. I learned that certain foods are notorious choking hazards for toddlers. They are hot dogs, whole grapes, whole cherry tomatoes, hard candies, nuts and popcorn. They have a point system to earn rewards. I learned that I can get coupons on their website!! I like the pampers reward program and the cruisers. I like Pampers Sensitive Wipes. I love their rewards program that they have. Right now your first entry in is worth 3x the points! I signed up for their emails, and that is what the email said! I learned that they have a rewards program and that with combined with the babies r us rewards program, you can really save. I like the Pampers Swaddlers the best. I learned that you can earn points for product reviews. I like that the Swaddlers now go up to size 5. I like the Pampers Baby Dry diapers because they fit my grandson well and hardly ever leak. I also like that Pampers makes a line called Kandoo – I didn’t know they made a handsoap. I like all the advice they provide and I also like that they are offering swaddlers in soze 5 now! so all your baby feels is love. They still have Pampers rewards. I bought my kids a Little Tykes kitchen set back in 1986 with Pampers Points! I love the gifts to grow program! I learned that Pampers makes products for sensitive skin. I learned you could earn rewards points with every pampers purchase. I love the swaddlers! I wont put my son in anything else. I learned that the swaddlers go up to size 5! Love that they have special pants/diapers for swimming. Very important! 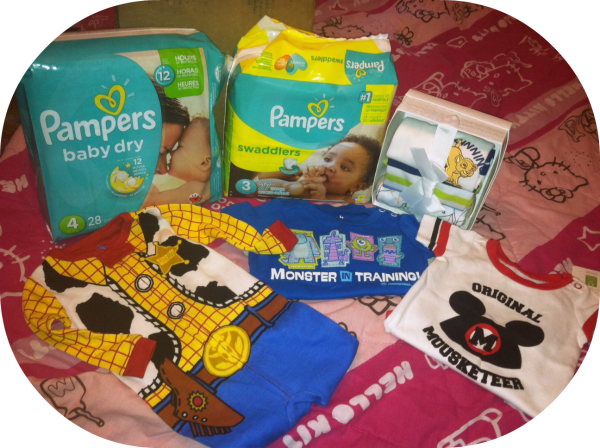 i read about the reward progam, very interesting didnt know pampers offered something like that…. I like the Pampers Rewards program. Their swaddlers brand goes up to size 5 now! they are leak proof which is very nice. They have a good rewards program. I learned do not take any over-the-counter medications or herbal preparations to help you sleep. While there I learned that they make flushable wipes- cant believe I didnt know this before 🙁 Im going to pick some up for my older son! I love their kid friendly meal ideas! points for every product review you submit! I like the Pampers reward program. I like their swaddlers diapers, especially that they are coming in larger sizes now. I like that Pampers have the wetness indicators! I learned that Pampers has a rewards program! I learned that Pampers is offering a new product! I like that they have a week by week pregnancy calendar on their site. I love pampers. The rewards program is awesome. Their Pampers Crusiers are the best diapers ever. They are super soft and crazy absorbent. I like that the new Pampers are leak proof for up to twelve hours making them the perfect night time diaper. I like that Pampers is paying attention to the needs of babies with sensitive skin! I learned about the Pampers rewards. we have just started the easy ups and they work wonderfully! I learned that they are making their new wipes thicker up to 20%! I like the rewards program. I love the color changing wetness indicator. The rewards program is great! I like that they have articles in Mommy Corner that have nothing to do with diapers! I like that they have coupons online. My grandson is potty trained but the wetness indicator really helped. I like that they don’t leak!!! Eggs are a good source of balanced nutrition. Babies can use the extra iron in egg yolks. Some babies may be allergic to egg whites, though, so watch carefully for any reaction. Scrambled eggs are a delicious, non-chokable option all day long. Don’t worry about the cholesterol  babies need more than you do. Three or four eggs a week are fine. Mini omelets cut in squares and strips are easy to handle. Fresh fruits are better than just fruit juice. While fruit juice is mainly sugar, fruits themselves are great sources of vitamins and other nutrients. Give your child small slices of fresh, juicy peach  or delicious, squishy bananas  and see how long he can resist! String cheese or small cubes of cheese are a good way to give your child calcium if he doesn’t like milk or even if he does. Cottage cheese is also a favorite; again, be ready for a mess! Carrots and green beans, cooked and diced, make a tasty snack. No whole peas, please. Potatoes, cooked and diced, do the trick. Watch out for the French-fry habit  too many, too greasy, and too salty. I like the Kid Friendly Meal ideas. I learned that the Pampers website has a Mommy Corner area where you can find tips, advice and information on family life, home, health and beauty plus products just for moms. I liked the article on good diets in pregnancy…very informative. 🙂 Thank you. I like that they are making the Swaddlers in bigger sizes. i like the fact that finally pampers will be making swaddlers up to size five, thank you! I learned they have a fantastic rewards program. I like the swaddlers sensitive diapers for my teeny babies, and also love the Pampers Rewards program! I like the Pampers Swaddlers. Only diapers I will buy!! We used the Splashers this summer and they were wonderful. I learned Pampers has a YouTube channel with a lot of great videos, and there is a forum discussion area on the YouTube home page! i love the Pampers Sensitive Swaddlers! I found the sensitive wipes… I didn’t know they had these. I like the Pampers Sensitive Wipes. I like their new 12 hour diapers. Keeping the skin well moisturized is one of the most important parts of both the treatment and prevention of eczema, but there are many other components of a successful program. These include the use of topical steroid ointments, which help control the itch as well as decrease inflammation in the skin, and oral antihistamines, which also help to control the itching. Sometimes antibiotics are also necessary if a secondary infection (usually caused by scratching) is present.Also keep nails trimmed, as they are the single most important source of bacteria in children with infected eczema. I learned that you can earn bonus codes by following Pampers on Twitter, very cool. I learned that the Pampers® Swaddlers Diapers now come in Size 5! I like how the wipes are 20percent thicker. The flimsier, thinner wipes cause you to go through too many. 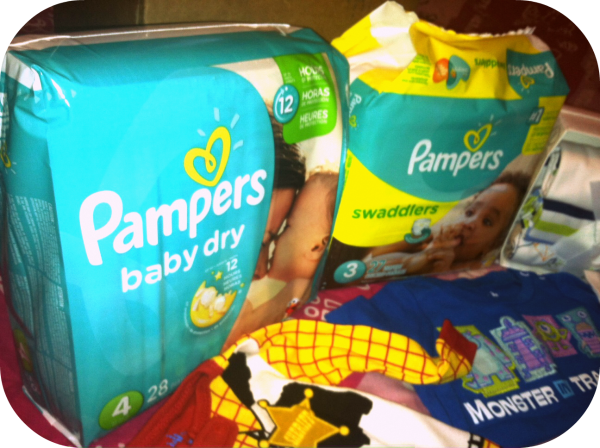 Thanks for the giveaway…we like Pampers’ Kandoo Flushable Toilet Wipes. I love that this has different phases such as toddler, newborn, pregnancy.